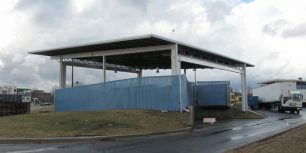 This picture shows how the glass shoot area looked before we built the steel canopy. 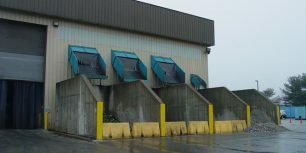 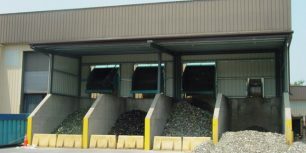 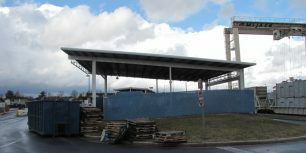 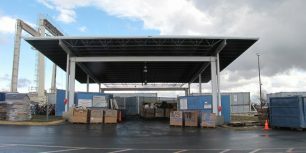 We built a steel canopy over the glass shoot area for Maryland Environmental Services. 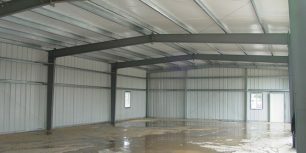 Armor Steel pre-engineered all steel building.